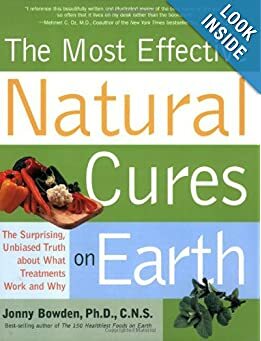 Jonny Bowden takes his practical, knowledgeable, and open-minded approach — the same approach that made his previous book, The 150 Healthiest Foods on Earth, so successful — and focuses it on natural cures, revealing the best of alternative medicine for a mainstream audience. Through his personal use, extensive research, and wide-ranging expertise in nutrition and health, Jonny sorts through the myriad home remedies from every discipline and tradition to show which work and how best to use these proven healing techniques. He also explains through approachable and articulate descriptions why they work and on what basis he selected these cures— whether it is patient testimonials or the latest scientific studies to give you peace of mind and the information you need about each treatment. The Key to the Kingdom of Heaven is also our Key to Happiness on Earth.” Not only does Catherine Galasso believe this…her life is living proof of it. 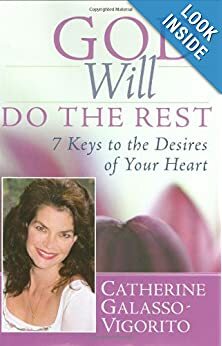 In GOD WILL DO THE REST, she explores seven qualities that have shaped her daily life and her life’s mission: faith, love, persistence, hope, optimism, gratitude and forgiveness. Catherine takes each key and through engaging examples explains the importance of that key, how to apply it, and the ways in which it will enrich listeners’ lives. She tells listeners how to seize the struggles that come with each day and to turn them into opportunities for growth, joy, and peace. 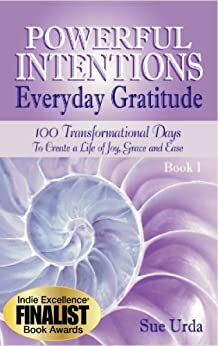 Indie Excellence Finalist Book Awards – Powerful Intentions ~ Everyday Gratitude is a transformational book that sets you on a 100-day journey to the center of YOU! This book provides the tools for you to become the conscious creator of your life, instead of just being a passenger on the journey. Using simple language, humor and everyday life examples, Sue Urda assists you on your personal journey to a joy-filled existence. She guides you to your own profound conclusions as she sets the stage for you to create an amazing life that you love – All this as you enjoy the process and feel good. Twenty-nine-year-old Vivian Craig has just been promoted to managing editor at “The Brick Bulletin,” a trade publication focused on profoundly uninteresting brick-related data. 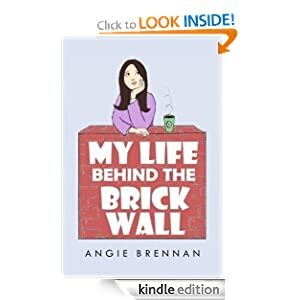 She’s looking for a more creative outlet than bricks can provide, and finds one in her new blog, “Behind the Brick Wall.” Which will get her into big trouble. Vivian also has her hands full dealing with a hypochondriac receptionist who loves to talk about her ailments in excruciating detail; a coworker apparently bent on jealous revenge after Vivian’s promotion; a melodramatic sister with a weakness for romance novels and classical piano; a would-be suitor with an ego so inflated he can barely see around it; a sharp-tongued grandmother whose philosophy is: if you can’t say something nice, so much the better; and a propensity for clumsiness. There’s plenty of pride, prejudice, and pandemonium to be found behind Vivian’s brick wall. Disaster Master Plan: Prepare Or Despair – It’s Your Choice was written to give information to my fellow citizens on how to plan for a disaster and where to order disaster kits. I want everyone to have relevant information that they can use in advance to prepare their families, neighbors, and businesses in case of a power outage or disaster. I witnessed the Hurricane IVAN devastation in Pensacola, Florida when it slammed into the Gulf Coast. I stood in long lines on that September day in sweltering heat. I was hot, sweating, and tired. I was frustrated because the lines were a mile long while we stood waiting for FEMA and the Red Cross to give us basic supplies like ice, water and milk. They worked tirelessly with a smile on their faces trying to cheer us. They knew many of us had lost our homes. I thought it would be great if I could put together a disaster preparedness kit in case this happened again so that we would be ready. PLEASE PREPARE FOR DISASTER!